Driving along the I84 towards Hood River was impressive – surrounded by epic railway lines, the Columbia River and then railway lines on the other side too. We timed it perfectly to see several long trains tootling along and crossing the water – always good to watch. 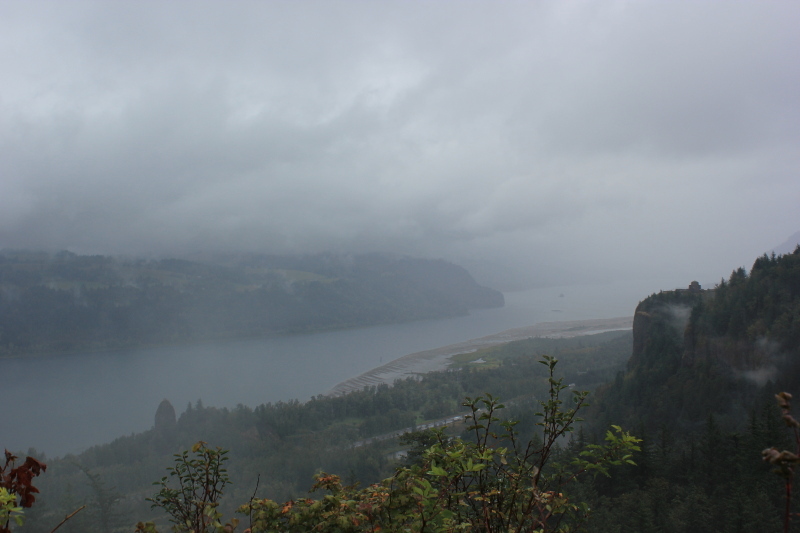 Our plan was to complete the Mount Hood Scenic Loop, however due to forest fires we didn’t get to visit a few points, but even so it was a fantastic drive with changeable weather and interesting views. We started out heading to Timberline lodge. This was used in the the film, The Shining. We made it to the top, but thought it best not to stop, at that point the snow really had started to come down and our hire car wasn’t really kitted out for it! 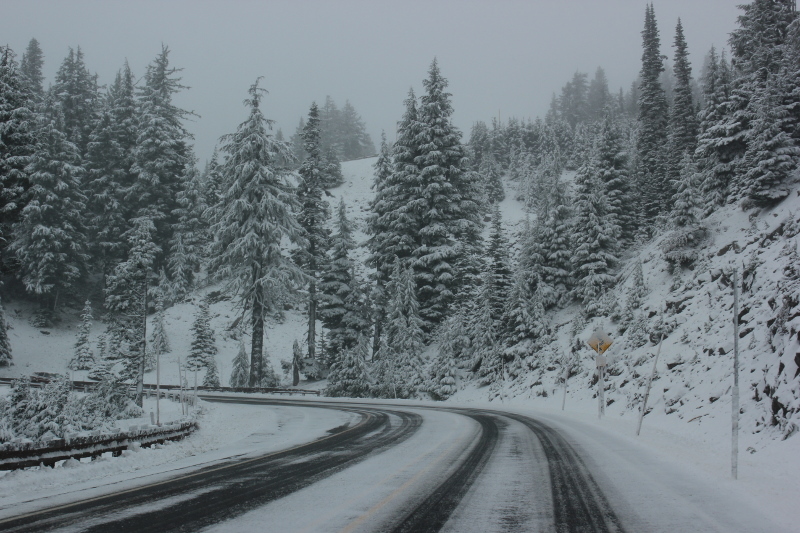 Driving up to Timberline Lodge, Mount Hood, OR. 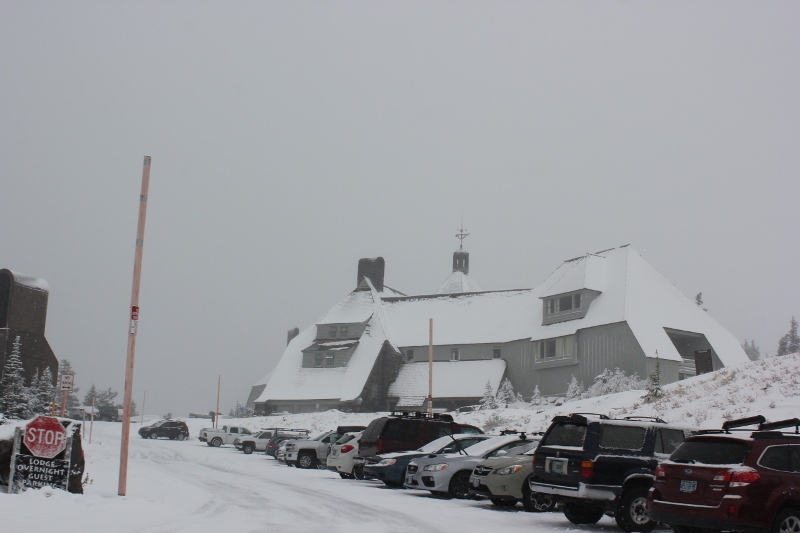 Finally reached Timberline Lodge, Mount Hood, OR. We then called at Mirror Lake but the weather really had taken a turn for the worse so we didn’t do the walk. Then it was on to Crown Point Vista House. We got a brief view from here down into the gorge, but beyond this the highway was closed due to the forest fires. 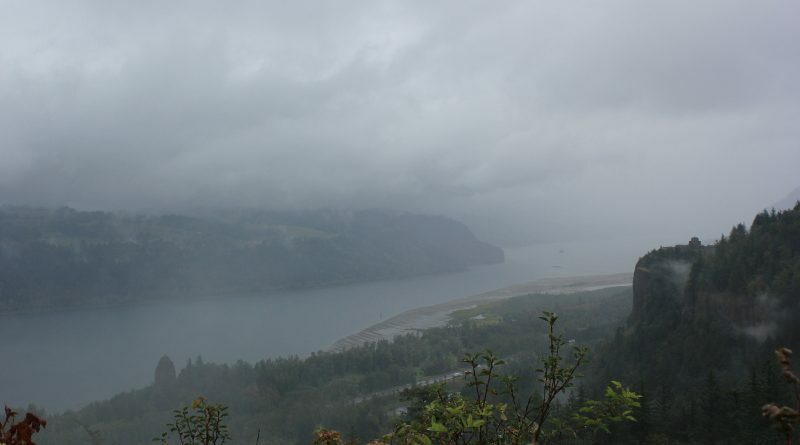 View down the Columbia River gorge from Crown Point Vista House viewpoint, OR. We headed back down to river level and visited the Bonneville Dam then over to Cascade Locks and the Bridge of Gods used in the film, Wild. 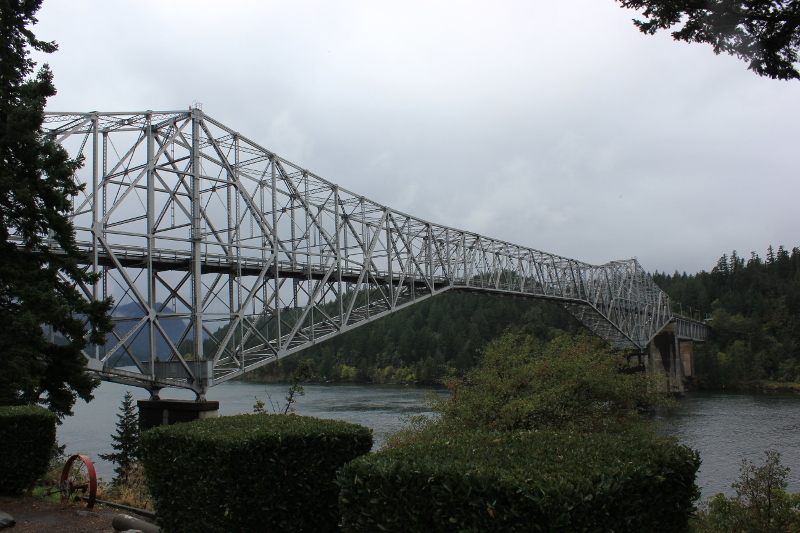 It was time to give the driving tour a pause and let some of the rain pass so we had a wander around Hood River Waterfront Park and Hood River itself including the Mount Hood Railroad. Unfortunately, there were no trains running when we visited, however, the sun did come out! 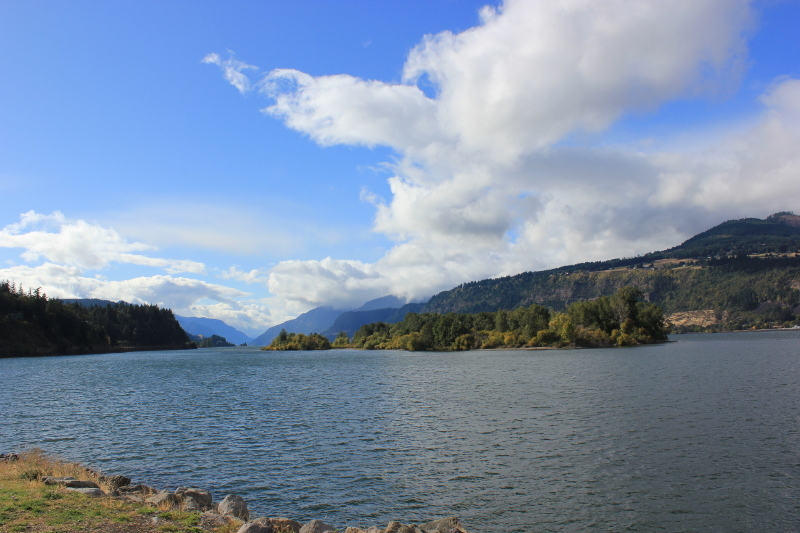 View across the Columbia River from the Hood River Waterfront Park, OR. 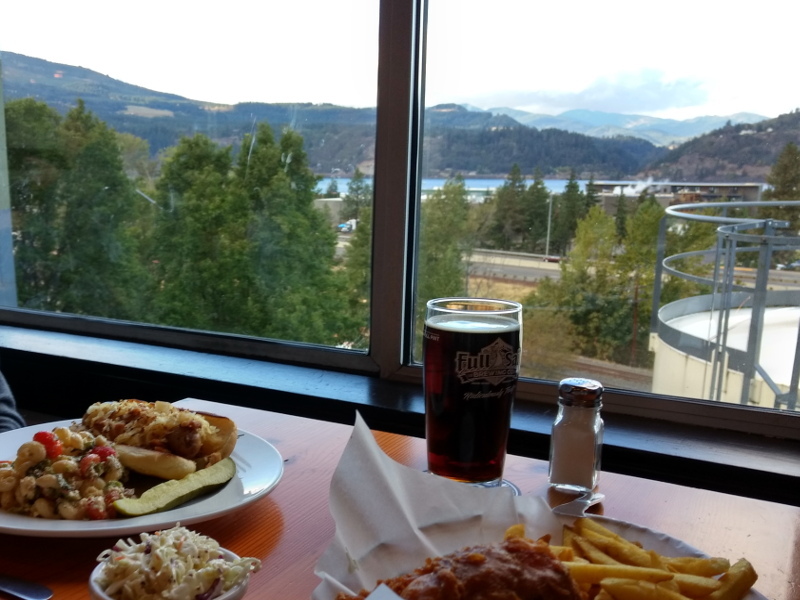 Chilling at the Full Sail Brewery, Hood River, OR.